Are you someone wanting a POOL HOME in a BEAUTIFUL community with ALL OF THE BIG PROJECTS COMPLETED?!? THEN THIS IS IT!!! 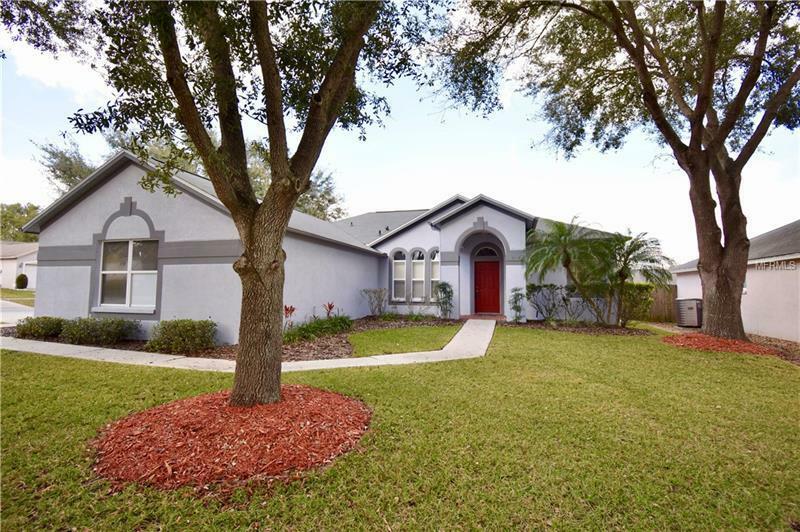 This STUNNING 3 bedroom/2 bathroom home is located in the heart of Valrico and has SO MUCH TO OFFER!! This home is in the wonderful neighborhood called Copper Ridge, is the definition of "move in ready", sits on a HUGE CORNER LOT and has SO MANY UPGRADES!! This stunning home has a NEW ROOF (2017), NEW AC (6 months), a 3 CAR GARAGE with built in shelving, NEW EXTERIOR AND INTERIOR PAINT, a SALT WATER POOL that has a NEW POOL SCREEN and NEW CEILING FANS, BRAND NEW St. Augustine shaded GRASS, STAINLESS STEEL APPLIANCES with a convection oven/microwave, living rooms and bedrooms have HARD WOOD FLOORS and TILE in the bathroom and kitchens, a HUGE LANIAI/PATIO overlooking your gorgeous pool, EVERY CABINET (master bathroom/kitchen) was REFACED and has NEW KNOBS, the kitchen itself is MASSIVE, you have a formal living and a den, 3 SCREENED DOORS that gives you access to outside and your pool (den, kitchen, master bedroom), FULLY FENCED, a water softener, SPRINKLER SYSTEM, all NEW BLINDS, walk in CLOSETS throughout and a HUGE pantry, huge attic with walk in space and pull down stairs, a HUGE master bedroom and bathroom, a separate laundry room space, and SO MUCH MORE!!!! THIS STUNNING POOL HOME IS TRULY A STEAL AND WILL NOT LAST LONG!!! COME VIEW IT BEFORE IT'S GONE!!!! !